Guy from XtremeSystems forum leaked three screenshots of 3DMark 2011 score comparing the new Nvidia Geforce GTX 780Ti on Extreme setting with the Titan and R9 290X, the result is X5204 Mark. 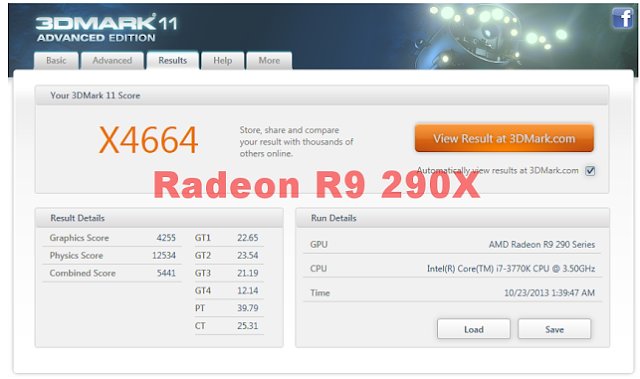 That number is higher than the Titan graphics card and even higher than the R9 290X from AMD which is supposed to be the fastest graphic card available, yes thats right if this result is true, then good buy Titan and even the AMD R9 290X is on the back, that's not everything, the GTX 780 Ti is only for $650 which 350$ less than the Geforce Titan, things now totally subject to changes ! 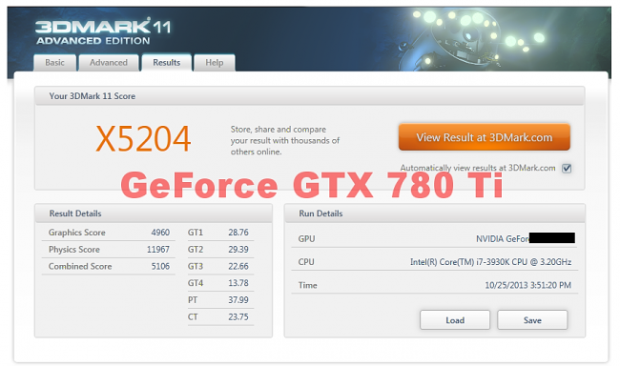 Specifications are not leaked and there are some rumors said that the effective clock speed of the GDDR5 memory will be boosted up to 7000Mhz with 3GB version. 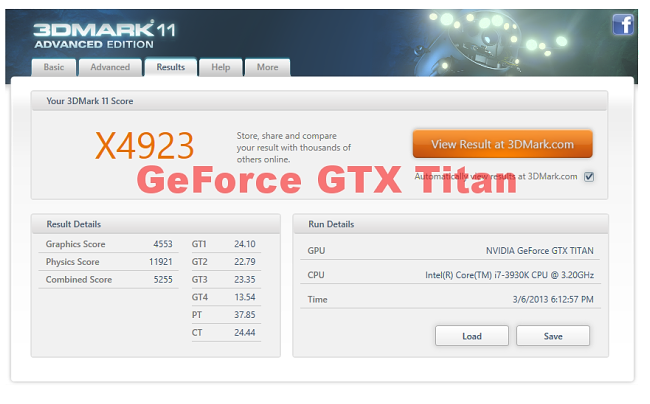 Benchmark results of GTX 780Ti Vs Titan Vs AMD R9 290X, you can compare them by your self.